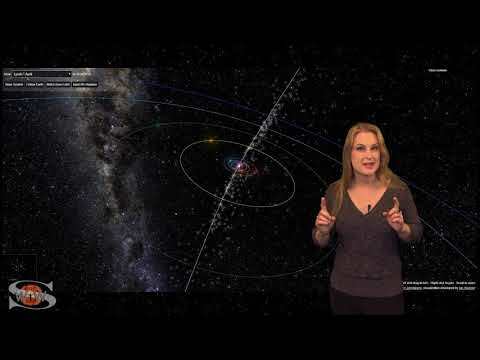 Description: This week, to coincide with the fifteenth annual European Space Weather Week, ESA is celebrating the dynamic phenomenon of space weather. 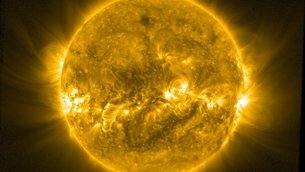 Unpredictable and temperamental, our Sun routinely blasts intense radiation combined with colossal amounts of energetic material in every direction, creating the ever-changing conditions in space known as ‘space weather’. Our magnetic field protects us from the ‘solar wind’ — the constant stream of electrons, protons and heavier particles from the Sun – and from Coronal Mass Ejections (CMEs), the Sun’s occasional outbursts of billion-tonne clouds of solar plasma into space. The most extreme events, arrivals of fast #CME s or high-speed solar-wind streams, disturb our protective magnetic shield, creating geomagnetic storms. These storms have the potential to cause serious problems for modern technological systems, disrupting or damaging satellites in space and the multitude of services — like navigation and telecoms — that rely on them, blacking out power grids and radio communication and creating a radiation hazard for astronauts in space, even serving potentially harmful doses of radiation to astronauts on future missions to the Moon or Mars. While these events can’t be stopped, advance warning of an oncoming solar storm would give operators of satellites, power grids and telecom systems time to take protective measures. 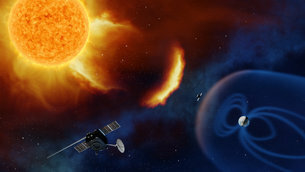 In this report, ESA Web TV takes a look at #spaceweather, highlighting how ESA is working to develop new solar-observing missions and help make Europe more resilient to the Sun’s effects on our daily lives. Correction: At 2m:50s the solar wind speed is given as 1.5 million km per second. This would be 5 times faster than the speed of light! The correct value is close to 1.5 million km per hour.